What are the warning signs of a migraine? 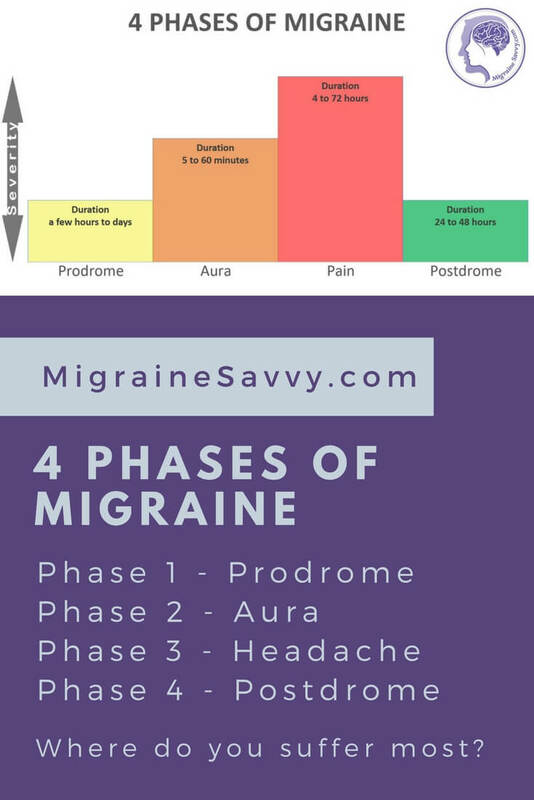 There are 4 phases a complex migraine goes through: prodrome, aura, headache and postdrome. You must act as fast as you can in the prodrome phase to abort an attack successfully. So, now let's look at the symptoms so you know just how fast you need to act! 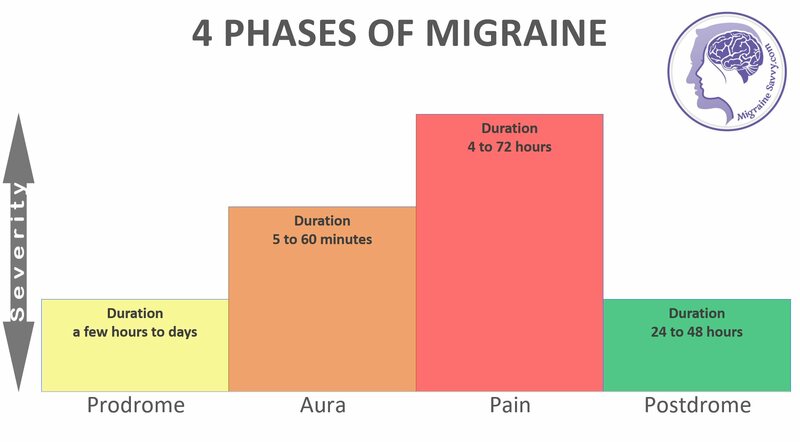 The pain phase is the most familiar to people without migraine disease. 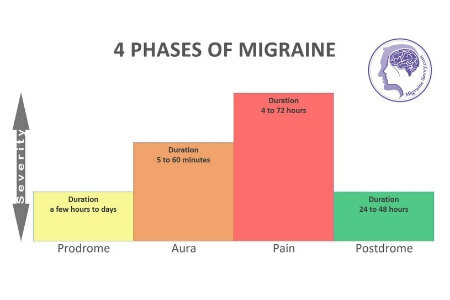 As a migraine sufferer you might be aware that there are other things that happen before and after the pain phase. But are you aware of the chain reaction and other stages you go through? 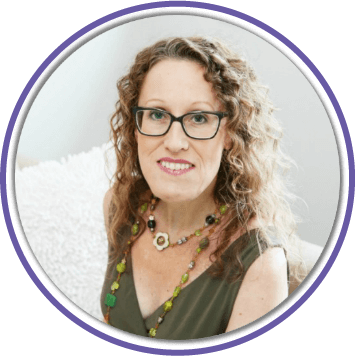 Neck pain, perfume, no sleep, alcohol, the weather, chocolate – pick whatever trigger you like, it will start to spread the chemical electrical charge that causes the migraine episode. 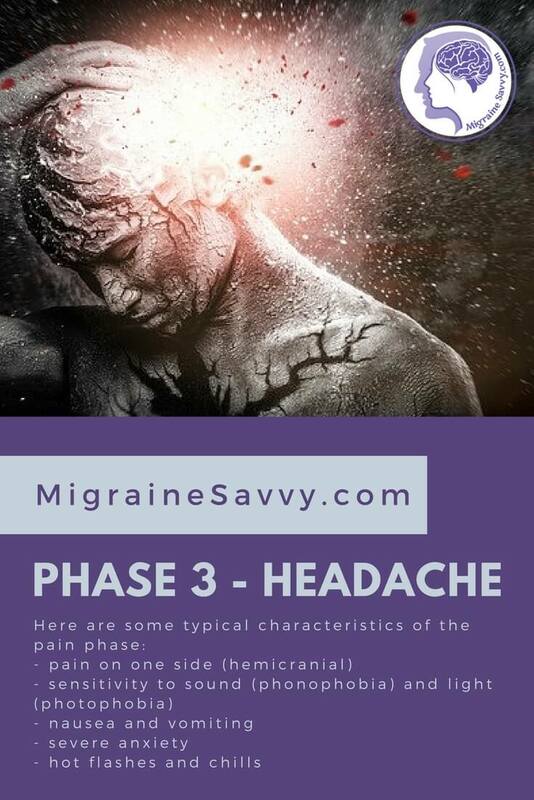 You don't reach the headache (pain) stage until phase 3. 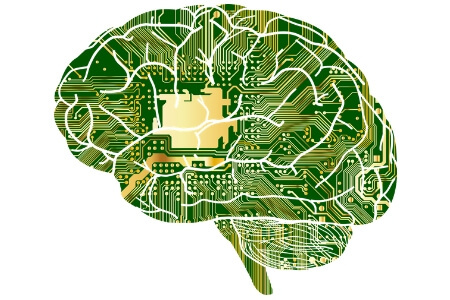 The process is composed of many interconnecting parts in the human brain and body that is so complex and hard to understand, that even scientists and specialists are not exactly sure what happens to cause this dysfunction. 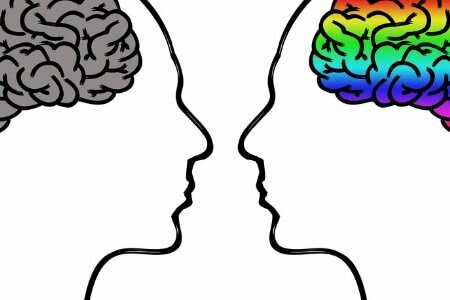 It begins with chemical reactions, cortical spreading depression and nerve storms from an overstimulation of nerves from unpredictable triggers. All unseen, and possibly unfelt. Then come the symptoms (seen and felt) and most commonly, though not always, has these four phases. This first phase is when you need to act as fast as possible. 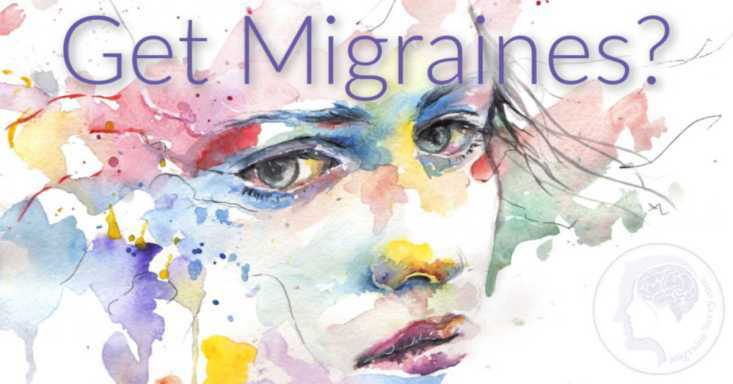 Symptoms hours or even days before a migraine episode provide an early warning signal that tells you a migraine is on its way. I never knew about these warning signals initially, it took many years to figure it out. I might be aging myself but there was no internet when I was diagnosed... ok so now you know I'm old! And wise! This is the phase you want to take action to help abort the attack. Waiting until the pain phase is too late. This is when you want to take your prescribed abortive, if you have one. Getting to know your body and its symptoms have the potential to make your pain phase and life much more manageable. 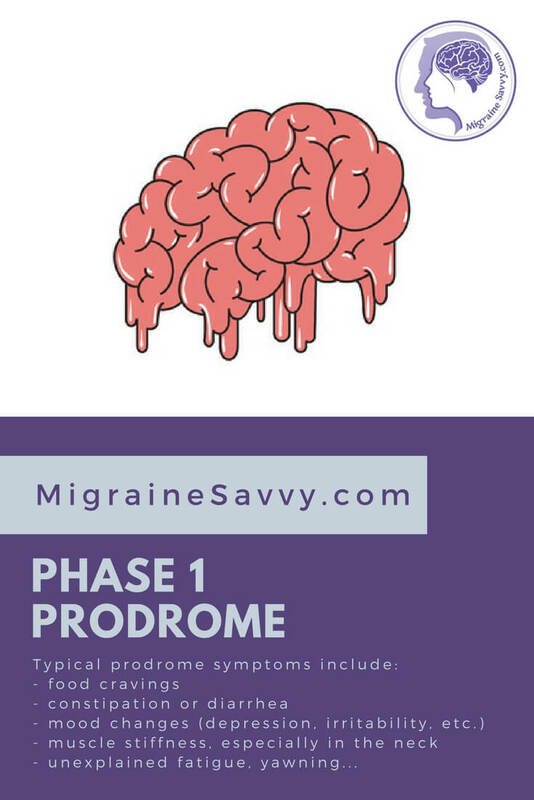 Phase 1 is the prodrome. 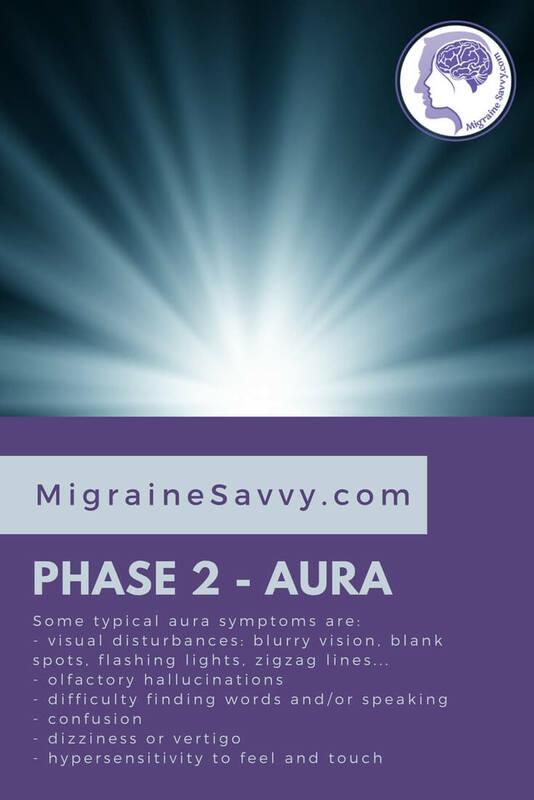 The symptoms of the aura phase vary widely between individuals. 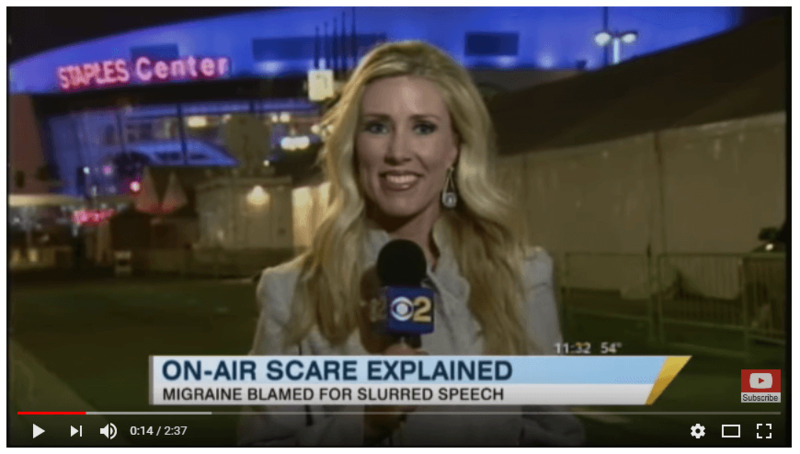 Some can be quite terrifying like Serene Branson, the KCBS reporter, who spoke nonsense on her live report at the Grammys. Initially her co-workers thought she was having a stroke, but was later diagnosed with just complex migraine headache. Lets face it - Migraines are terrifying! How scary for Serene Branson, this was her first one. Luckily, she has already found a triptan that will work with her migraine type. I have recently been losing my central vision, zig zag lines around the edges, I can see the peripheral and even sometimes I can see all the air particles. I can see people’s auras! Sometimes I can speak, but I don’t recall what I just said. I feel like I am present, but within a minute I forget... and sometimes it remains forgotten for good! 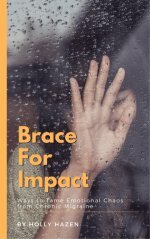 Some people experience a tingling sensation and have numbness leading to partial paralysis of face and limbs – normally on one side of their body. Just like migraines are one sided, so is the paralysis. Don't let this freak you out... if you haven't experienced this yet, you may never. Phase 2 is the aura. 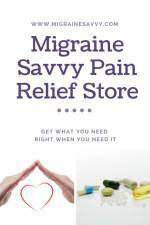 Some migraine sufferers do not experience all phases nor do they experience the pain. These are called “silent migraines” or “migraine equivalent”. This is the most difficult part of the complex migraine headache phase that is tricky to describe. I used to get asked “on a scale of one to ten – rate your pain”, and I used to answer 200! Please don't do this, it's not an effective way to talk with your doctor. 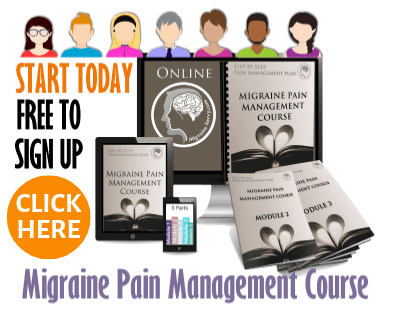 I go over this in depth in my migraine pain management course. It is hard to comprehend just how intense the pain is if you have never experienced it. Phase 3 is the headache pain stage. Complex migraine is not just headache pain... it can take hours or sometimes days to fully recover from an attack. 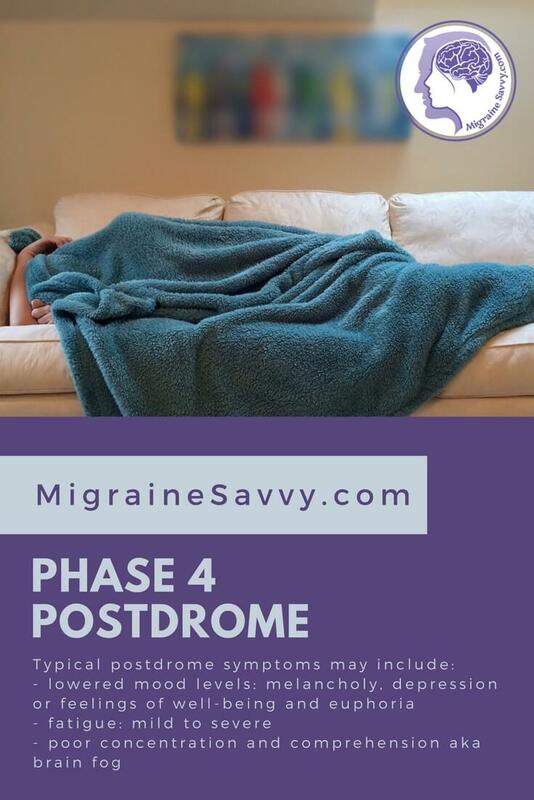 Phase 4 is the postdrome. Does this sound similar to the worst hangover you've ever had? 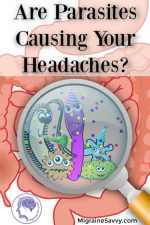 Click here for my article to help you with post migraine symptoms. There is also the chance you may feel euphoria. I used to after long migraines. I would come out of my ‘meditation’ and go for a slow walk along the beach in awe of the beautiful ocean. I’d watch the clouds and feel elated. That doesn’t happen these days because I don’t get the 10 day long episodes. Or those pain levels. Thank goodness. Do you ever feel euphoric after an attack? 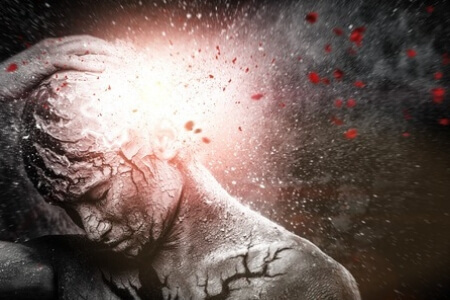 Want to learn even more about complex migraine attacks? Click here.